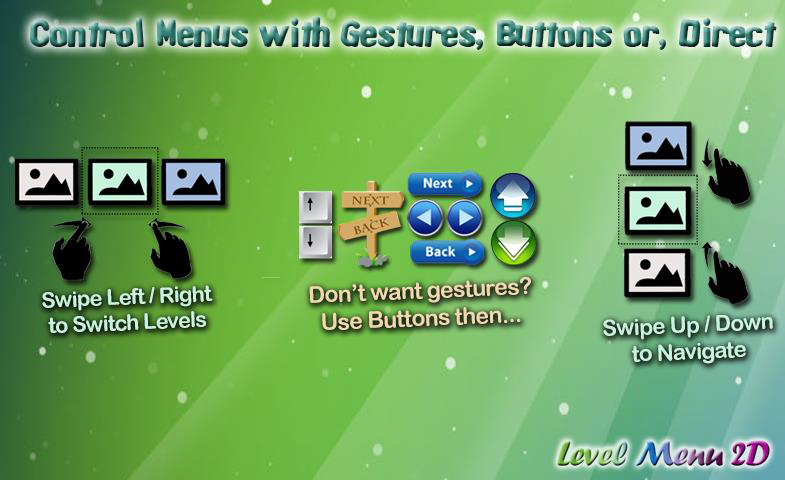 Ever wondered how beautiful Episode Select menu is developed in Angry Birds Rio Game? Or how Character Selection Sliding Menu in Temple Run is developed? Or you want to make next big hit Indie Game with a beautiful Level/Theme/Episode/Character or custom selection menu in your game? 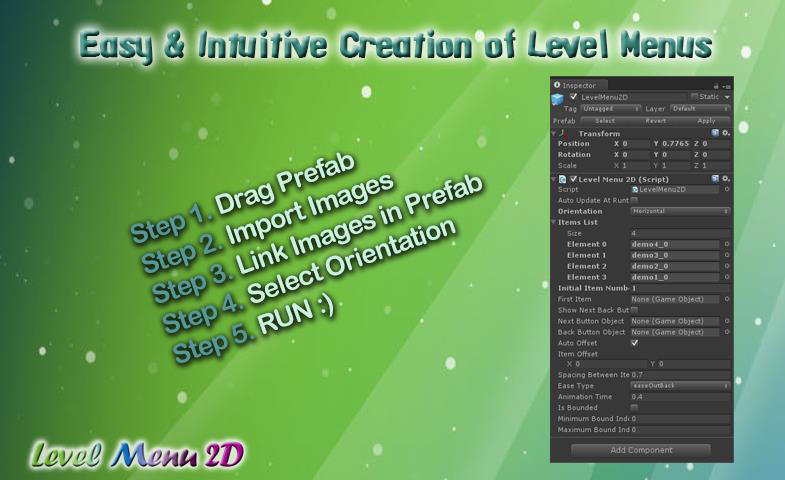 Welcome to Level Menu 2D, a Unity3D asset bundle for creating level selection menu in your game. As a developer, you can spend your time on being creative in making the next big hit Indie game, while Level Menu 2D works out the boring parts like managing selection variables and codes, keeping track of the currently selected, next, and previous levels, animate objects while navigation, and many more. 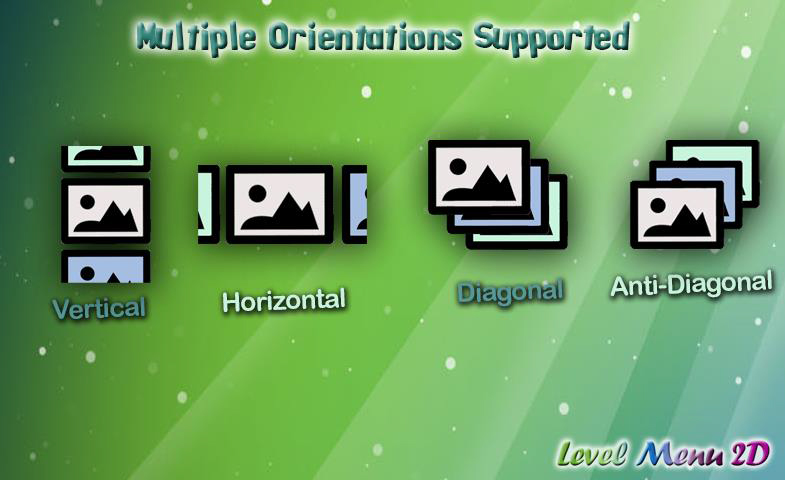 Get hurry and download Level Menu 2D from Asset Store NOW to create your lovely and beautiful level menu of game. This project was a side experiment to create a simple Unity3D Asset and sell it on Unity Asset store. The asset was created while developer Paper Survive game and later packaged in a separate asset for sells. So far, 1300 copies of the asset has been sold on Asset Store.